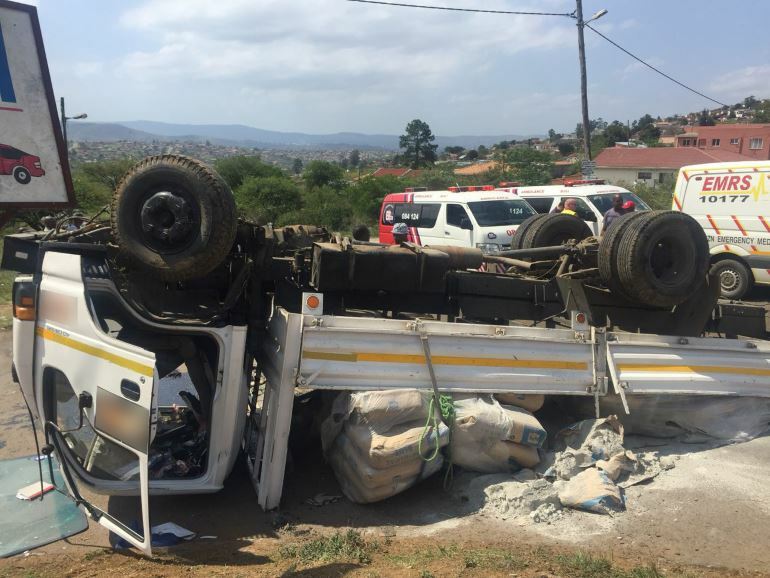 Three men were left injured this afternoon when the truck they were travelling in overturned on Phuzulu Road in Imbali, KwaZulu Natal. ER24 paramedics, along with other services, arrived on the scene at 13h24 to find the flat-bed truck lying on its roof on the side of the road. A load of cement that had been on the back of the vehicle was now spread across the scene. Upon closer inspection, paramedics found that three men had been inside the vehicle and had already climbed out. Paramedics assessed the men and found that they had sustained only minor injuries. The men were treated for their injuries and thereafter transported to a nearby hospital for further treatment. Local authorities were on the scene to investigate the exact cause of the collision.